Lens Description: Ultra-wide zoom lens with portrait-length telephoto capability. By having multiple lens groups move during zooming, the lens was made compact and lightweight. The Ashperical element suppresses distortion. High contrast is maintained at all focal lengths and sharp images are obtained. I bought this lens NEW almost 20 years ago because the zoom range is perfect for “travel photography”, and especially at the widest – 24 mm – is suitable for indoor photography with flash (or fast film / ISO), architectural, and landscape photography. I have found the image quality to be high and the lens construction includes aspherical lens element(s). For the price this lens is a no-brainer. The canon 24-70 2.8 L is a better lens of course but it also gigantic and very heavy (not to mention exorbitantly priced). For those who like to travel light and are not full-time professional photographers, this lens offers rarely found value. My issues with the lens are: zoom creep and zoom mechanism which is not “fine” control so to speak. These are issues which the photographer can control, however. 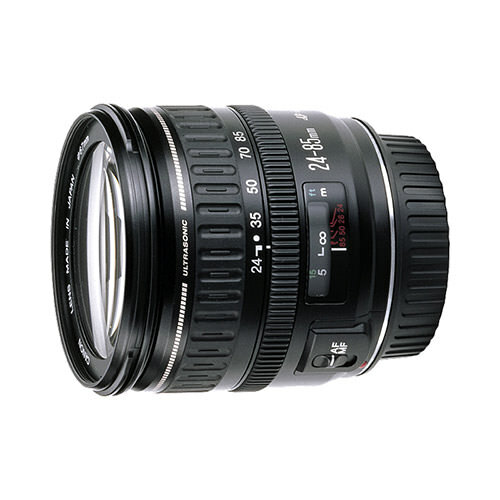 If you are looking for a high-quality lens in this zoom range, and are lucky enough to find one of these priced less than $ 250.00, then I would recommend without hesitation that you buy it !